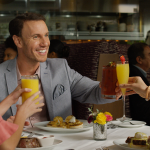 Delicious food and quality time with loved ones is what Easter is all about – and Easter Brunch La Jolla comes with that, plus incredible ocean views! 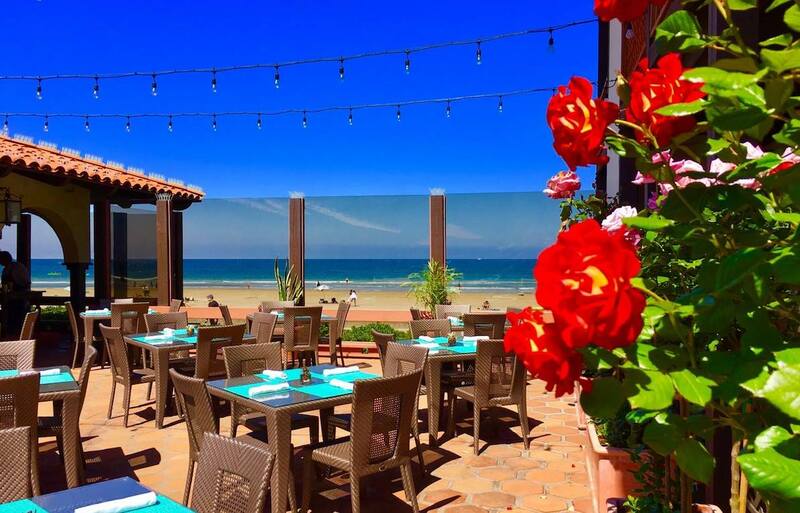 Celebrate Easter weekend at one of these world-class La Jolla restaurants. Some are offering a buffet this year, while others will be featuring a prix-fixe menu. Please note that a reservation is required for most of the restaurants on this list, unless otherwise noted. Create unforgettable Easter moments over a three-course brunch at Flemings La Jolla, with favorites like Brioche French Toast and a Spring Vegetable Quiche. 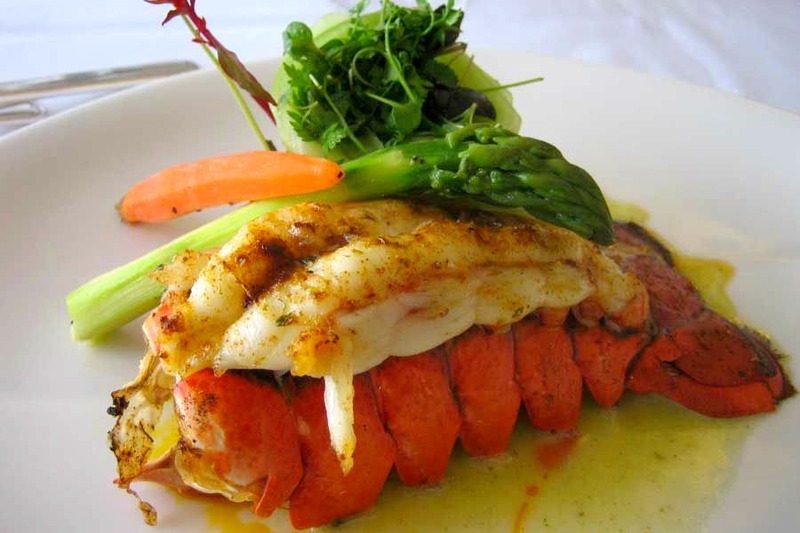 Choose from their full dinner menu, or their three-course Filet & Lobster menu, also available all day. Even the little ones will be delighted by their special three-course children’s brunch menu! Reservations are required. Call (858) 535-0078 or reserve online. Nine-Ten’s Easter celebration is a world-class event! 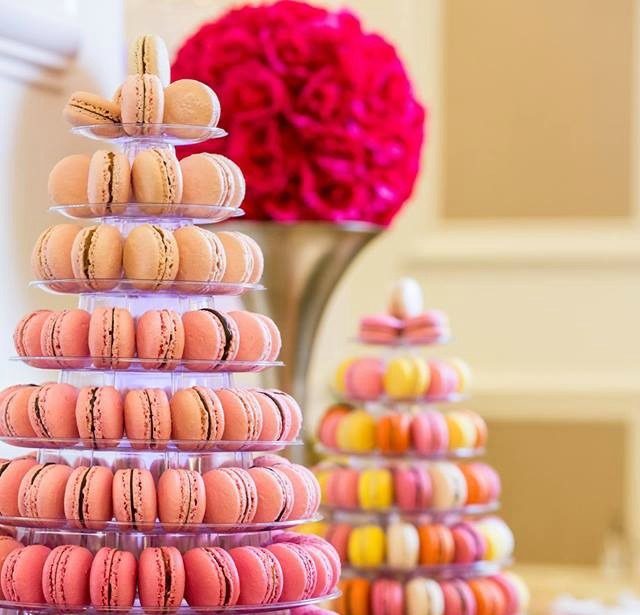 Chef Jason Knibb and Pastry Chef Jose Alonzo, III, will prepare a special Easter Sunday Brunch three-course menu featuring a choice of starters, entrees, and desserts. $16 bottomless mimosas and other drink specials will also be available. Reservations are strongly recommended. Call 858.964.5400 or reserve online here. 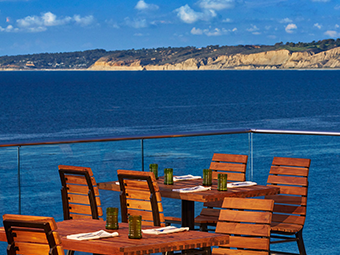 Enjoy a fabulous brunch with one of the best views in La Jolla! 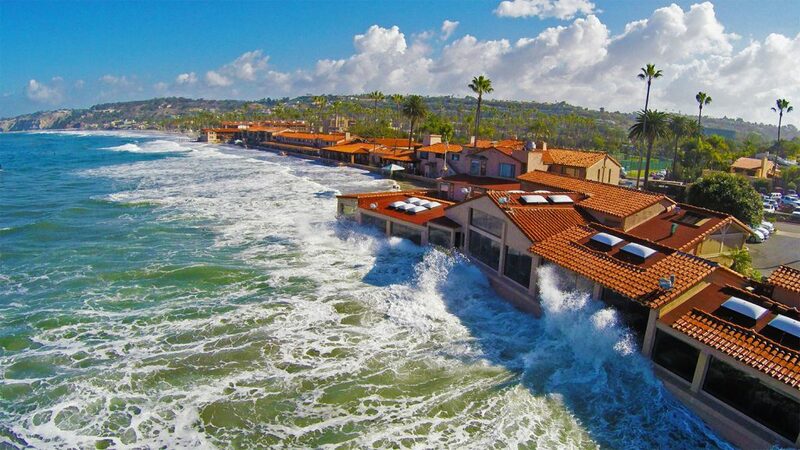 The Marine Room is perched on the water and offers up incredible French/American cuisine. 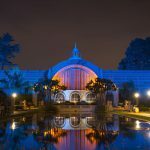 This year their Easter buffet will feature a seasonal menu that includes Coronado Island Sea Bass Ceviche, Truffle Eggs Benedict, Spindrift Seafood Crepes, and more. For reservations please call (855) 203-8511 or make a reservation online. Enjoy Chef Percy’s brunch on the beach and you’ll find something to satisfy every taste with a buffet that features favorites like Kings Hawaiian French Toast and Hazelnut Crusted Petrale Sole, along with Buchmann’s Ranch Cage Free Egg and Linguini Station, Herb-Roasted Colorado Leg of Lamb, and more. Call (858) 456-0600 or make a reservation online. One of the most show-stopping and popular brunches you just have to attend is Easter at THE MED. 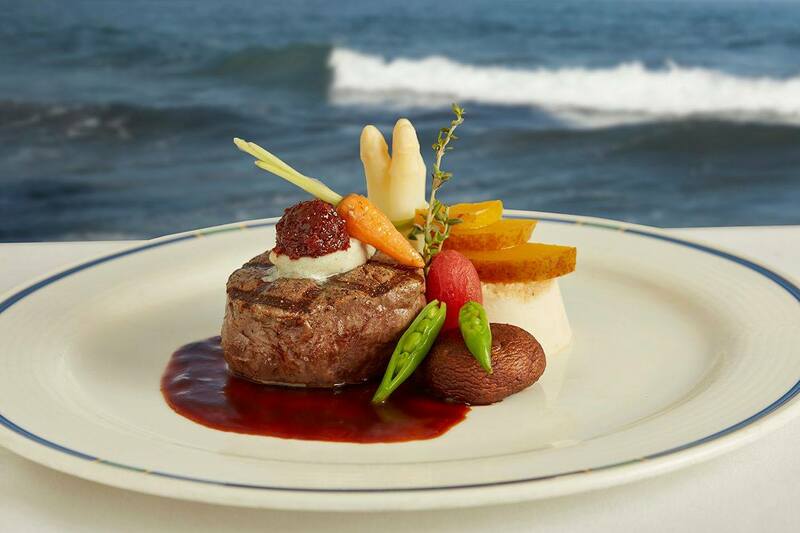 The ocean view restaurant boasts a food smorgasbord full of action stations and whimsical dishes. 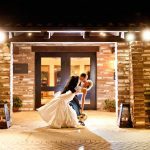 Guests can choose from items such as quiche, pancakes, breakfast sandwiches, a seafood selection of fresh shucked oysters, crudo, crab claws and jumbo shrimp, fresh salads and crudité, as well as action stations such as omelets, meat carving and dessert. They will also have three Easter Egg Hunts for little ones that day: at 11am, 1pm and 3pm, with a special visit from the Easter Bunny at those times as well. Make reservations online or give them a call at (855) 818-6887. Cusp’s Easter Brunch is a family pleaser with classic dishes for all ages. 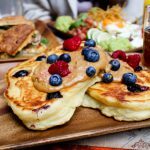 Take advantage of Chef Ingrid Funes’ new brunch menu, featuring classic a la carte dishes like caramel french toast, a variety of Benedicts, and fresh salads. There will also be decadent specials like Prime Rib, Red Velvet Pancakes and House Cinnamon Rolls! Guests will also enjoy complimentary valet. 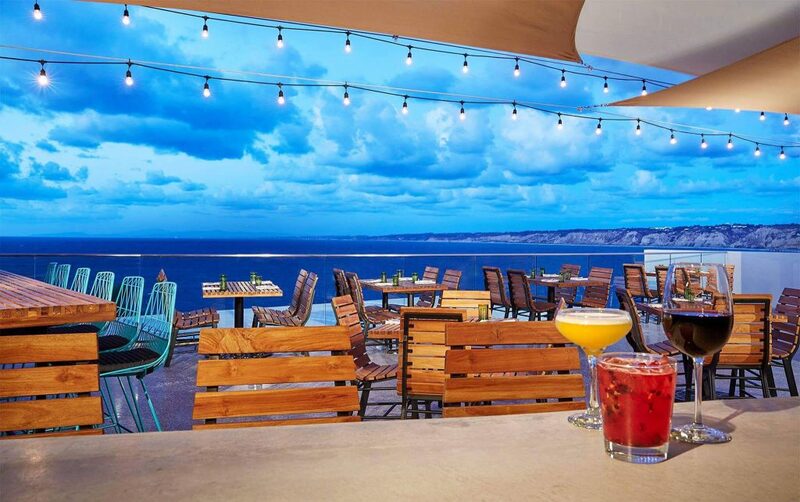 Located on the top level of Hotel La Jolla, Cusp boasts panoramic views of La Jolla Shores, a beautiful backdrop for this special occasion. Reservations strongly suggested. Call (858) 551-3620 or make reservations online. On Friday, October 26th at 6:30pm, Flemings La Jolla will host an incredible Whiskey & Wine Dinner at their restaurant. The event will feature an incredible five-course meal prepared by Flemings exclusively for the event, paired with a series of barrel-aged wine and handcrafted whiskey cocktails – and we are giving away two tickets! 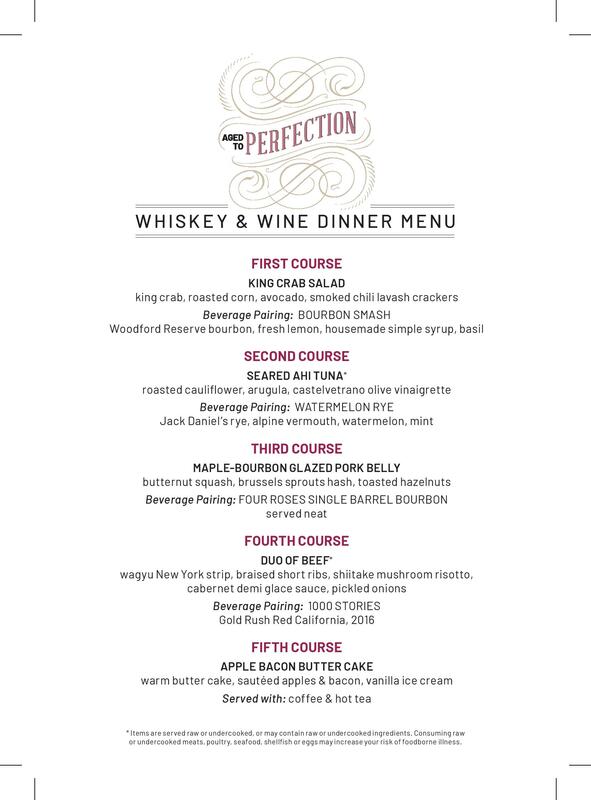 We are giving away two tickets to this exclusive Whiskey & Wine Dinner! Tickets are valued at $100 per person. Entries must be submitted by October 24th, 2018. To enter, visit our Giveaway Page. If you win, you’ll receive an email with instructions and details on the event! Here’s the menu breakdown for this delicious five-course dinner pairing. Maple-Bourbon Glazed Pork Belly: butternut squash, brussels sprouts hash, toasted hazelnuts. Beverage Pairing: Four Roses Single Barrel Bourbon served neat. Duo of Beef: Wagyu New York strip, Braised Short Ribs, shiitake mushroom risotto, cabernet demi glace sauce, pickled onions. Served with: coffee & hot tea. Fleming’s La Jolla is located at 8970 University Center Lane, San Diego 92122. Flemings’ menu is filled with your fresh favorites and a local chef’s table that changes monthly with fresh produce and seasonal flavors. The bar manager here has curated a wide selection of locally selected wines, handcrafted cocktails, and distilled spirits for all palettes. This fall’s Whiskey & Wine Dinner features several select, high quality whiskeys, including Woodford Reserve, Jack Daniels, and Four Roses Single Barrel Bourbon. The fourth course will be paired with a delicate barrel-aged wine: Gold Rush Red California (2016) by 1000 Stories Wine. 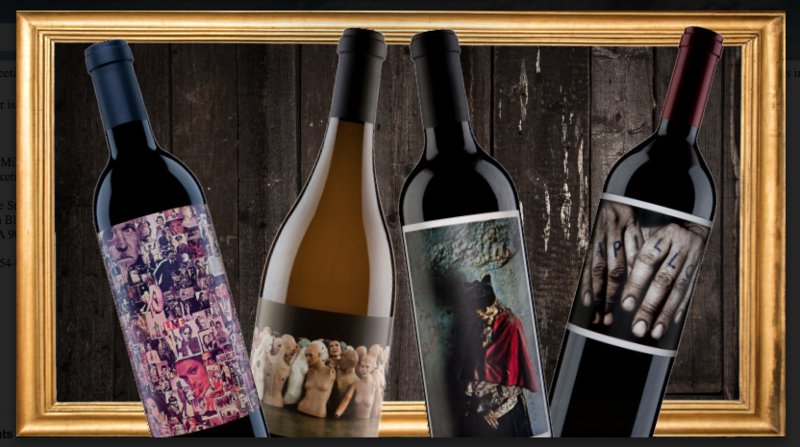 On August 17th, Flemings La Jolla will host their second Orin Swift Wine Dinner of the summer! 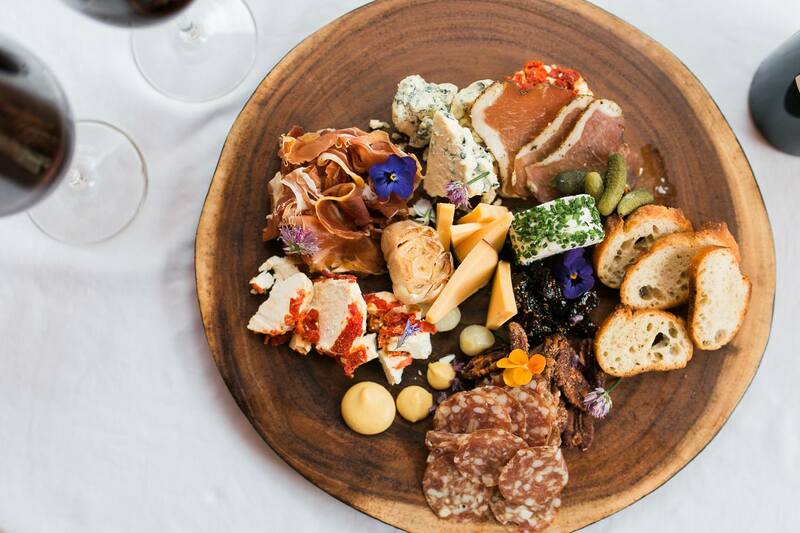 The event will feature an incredible four-course meal prepared by Flemings exclusively for the event, paired with a series of wines from Orin Swift – and we are giving away two tickets! 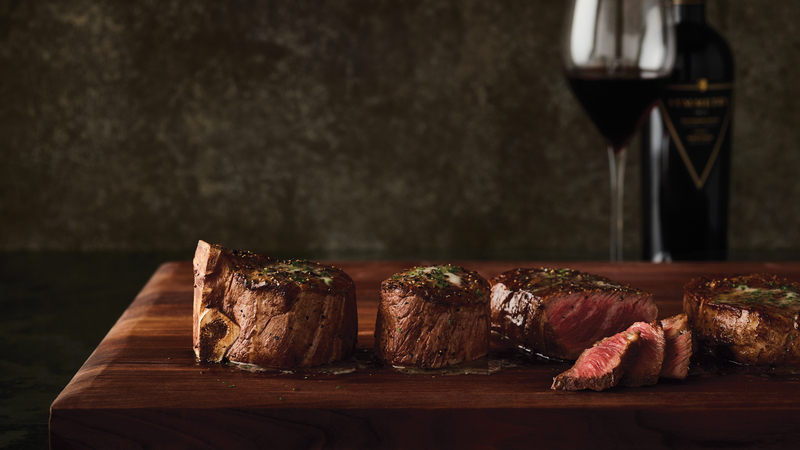 In addition to a pre-dinner Reception with appetizers and a specialty wine feature, the main dinner at Flemings will include four courses. The first course will feature a Peach Panzanella Salad with Mannequin from Orin Swift. The second course will feature Wild Mushrooms and Grit Toast, paired with Palermo from Orin Swift. 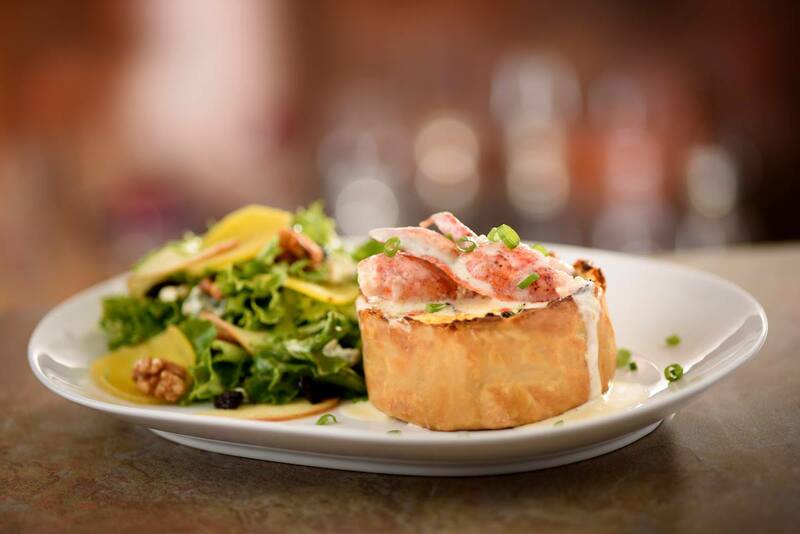 Third will be a Filet Mignon topped with Crab and Shrimp, paired with Papillon; and fourth will feature a Key Lime Tart served with coffee and tea. During the event, there will be multiple opportunities to win prizes, including raffles and giveaways. The prizes include bottles of wine, gift cards, rare skateboard desks crafted and painted exclusively for Orin Swift, and more. We are giving away two tickets to this exclusive Wine Tasting & Dinner Pairing! Tickets are valued at $110 per person. Entries must be submitted by August 15th, 2018. To enter, visit our Giveaway Page. If you win, you’ll receive an email with instructions and details on the event! Fleming’s La Jolla is located at 8970 University Center Lane, San Diego 92122. Flemings’ menu is filled with your fresh favorites and a local chef’s table that changes with the season. The bar manager has curated a wide selection of locally selected wines, hand-crafted cocktails, and spirits. A year later, he founded Orin Swift Cellars. With two tons of zinfandel and not much else, he spent the next decade making wine for others as well as himself and grew the brand to what it is today. Their eclectic varieties of wine combine bold, intense flavors with balance and focused sleekness. The creative individuality of the labels is also a key part of the brand; the evocative packaging features classic art, dramatic photography, abstract image collages, and more. 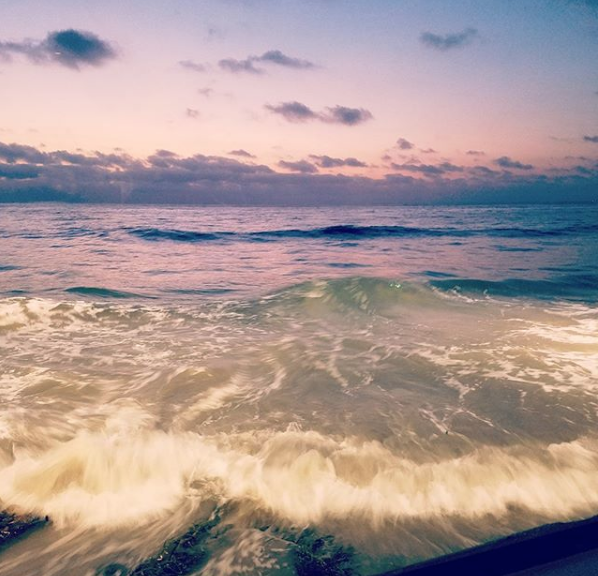 When La Jolla gives you beautiful sunsets, delicious restaurants, and a thrilling downtown what more could you ask for? Ah, of course, Happy Hour. 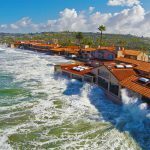 La Jolla Happy Hour is the best time to sample drinks from some of the top restaurants in La Jolla. 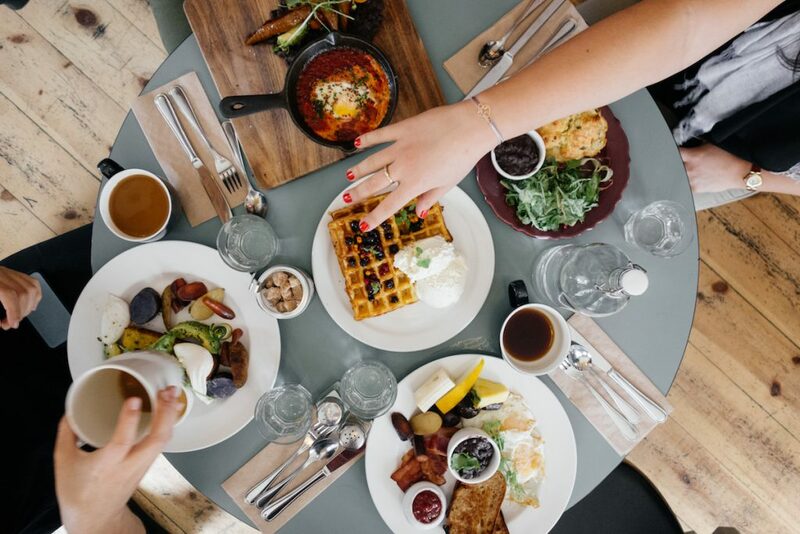 Even though there are so many different restaurants in La Jolla, we narrowed it down to our top 9 choices which we think are the most deliciously exceptional at the best happy house price. From custom cocktails to classics with a twist, there’s something for everyone on this happy hour roundup. If you haven’t tried a Moscow Mule, you’re missing out. This delicious drink is one of Beaumont’s Eatery’s most popular drinks. The drink is made of Tru Organic Vodka, Ginger Beer, Angostura Bitters, and a lime. 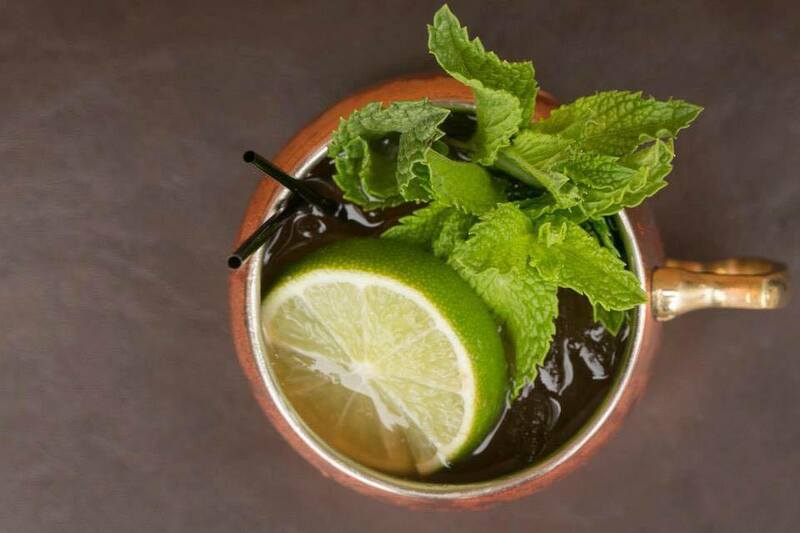 The Moscow Mule is an enjoyable cold-copper mug experience that’s a lot of fun. They’re served in copper cups to keep the drink as cold as possible, so you can enjoy it for as long as possible. Beaumont’s Eatery. 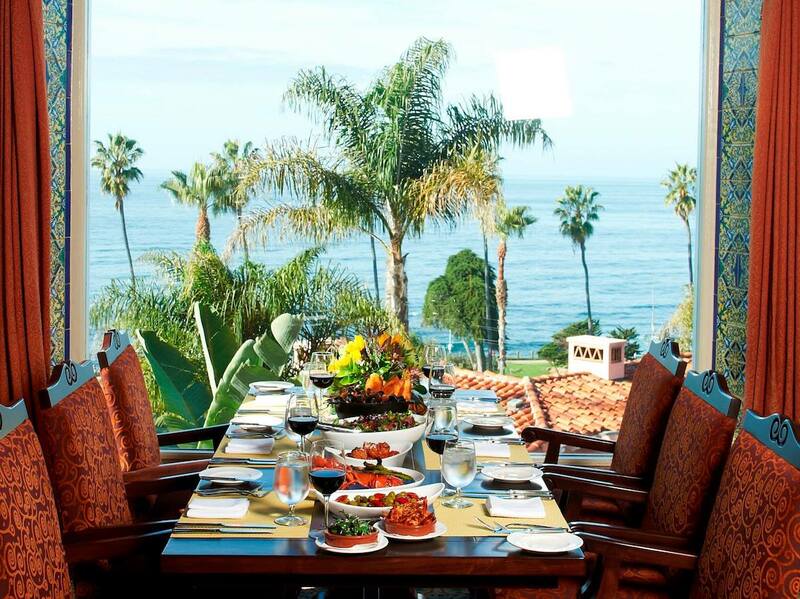 located in Bird Rock, is one of La Jolla’s best restaurants for live music. 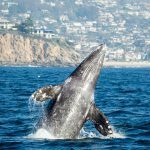 Its fun party vibe and casual feel make it one of the top choices for La Jolla locals. Happy Hour is from 11:30 am – 6:30 pm daily for drinks. Full price Moscow Mules are $10.75 but for Happy Hour it’s only $6. There’s only one way to describe the Cucumber Basil Smash. Smashing. The drink is made of Prairie Organic Cucumber Vodka, White Cranberry Juice, Cucumber, Basil, and Lime. It’s a local favorite because it’s light, refreshing drink that is light on calories. Seasons 52 is a great spot for happy hour after a long day of shopping at UTC mall. They have seasonally inspired menus featuring ingredients at their peak of freshness. They use rustic cooking techniques like brick oven roasting and open-fire grilling that bring out natural flavors. All in all, it’s a great atmosphere and high-quality food and of course, excellent drinks. Happy Hour is M-F 4-6:30 PM. Cucumber Basil Smash is normally $10.50 but for Happy Hour this Specialty Cocktail is $8. This is one of their most refreshing cocktails! The Southside includes Plymouth Gin, lemon, mint, and cane sugar. It’s minty, refreshing and citrusy – perfect after a long day in the office or just to quench your thirst among friends. 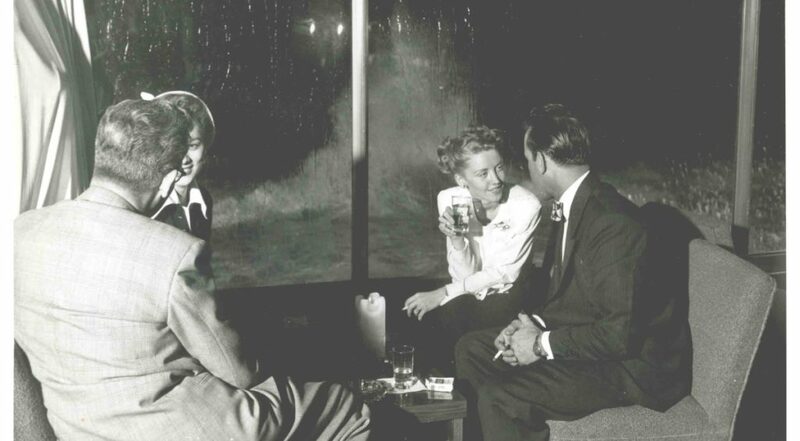 Happy Hour is hosted in their mid-level bar, George’s Level2. They are also launching a brand-new Late Night happy hour, which will be Thurs-Sat from 9pm-midnight and feature $10 specialty cocktails and discounted small bites. 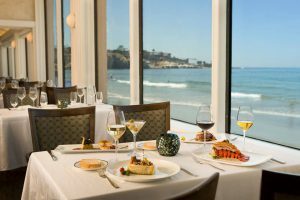 George’s at the Cove is a renowned three-level dining destination located in the heart of La Jolla overlooking the Pacific Ocean and northern coastline. Cocktails are made with in-house ingredients and hand cut ice. There are recipes and twists on classic drinks along with unique punches, sours, coolers and more. George’s At The Cove Happy Hour is M-F 3:30 to 6:30 pm. All Happy Hour Cocktails are $8. The Heart Opener is heart wrenchingly good. It’s the Hake’s tastiest drink made up of Avua Cachaca, Luxardo, Pistachio Falernum. The Hake Restaurant uses a seasonal farm-to-table approach focusing on fresh seafood and an upscale casual bistro atmosphere. 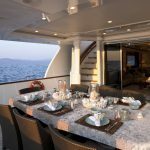 It offers a unique global-inspired menu created by Chefs Federico Rigoletti and Roberto Craig of Mexico City’s Puntarena Restaurant fame. The bar offers Craft and classic cocktails, local beers on tap, a fine collection of single malt whiskeys and a large selection of Mezcal. A carefully selected wine list with over 30 wines by the glass, reflects our passion in the glass as well as on the plate. Happy Hour is every day 5-7 PM. Don’t whine, just wine. The rosé showcases aromas of crushed raspberries and watermelon. The pale salmon coloring of this classic Provencal style wine is made from 100% Grenache. Happy Hour specials are from 3:30 to 6:30 M-F where beers are $2 off and wine is $3 off except on Wednesdays. On Wine Wednesdays, all wine glasses are half off from 3:30 to 6:30 pm. Their other Happy Hour specials include Sunday Funday where wine bottles are $7 off. Sweet and fruity, Herringbone’s Sangria is delicious. The Sangria is made of Red wine, raspberries, cinnamon sticks, pomegranate, and lime. Located in the coastal community of La Jolla, Herringbone is a restaurant brand conceptualized by Top Chef alum Chef Brian Malarkey. Herringbone features “Fish Meats Field” coastal cuisine with an emphasis on line-caught seafood and high-quality meats. Happy Hour is 4-6 pm daily & all night Mondays. Bonus Tip: Oyster Hour $ Oysters daily from 4-6pm. If you like exotic alcohol, this is the drink for you. It’s made of Tequila Exotico, Xtabentum, Amaro Nonino, fresh pineapple, fresh lime, banana demerara, and pomegranate molasses. 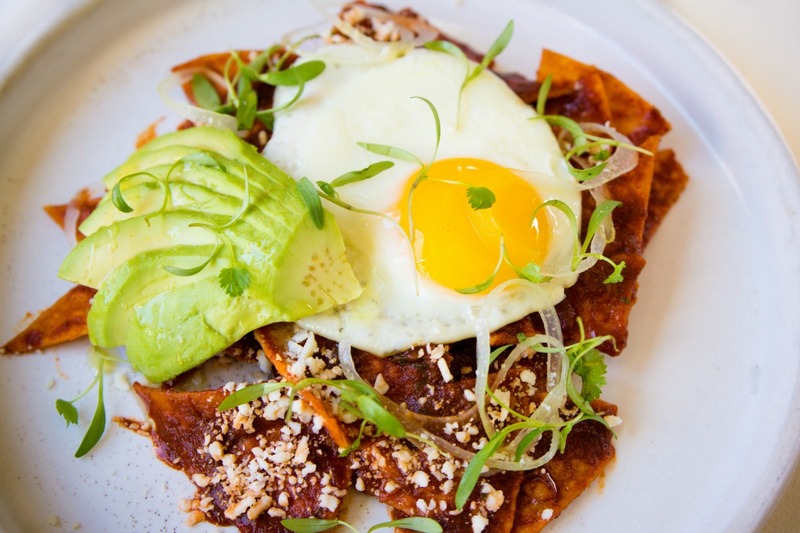 Lena Craft Mexican is a gastropub, located in the heart of La Jolla, CA. Local’s love the authentic flavors and good vibe that Leña gives. Happy Hour is M-F 3-6 PM. All Margarita’s are $6 and beers are $1 off. Everybody’s scared the first time they do anything. 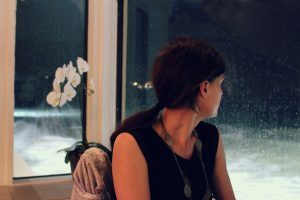 Drink creator Ashley Moore says “My First Time” is a fun play on the phrase. It’s a handcrafted drink made with jalapeno-infused Rancho Alegre Tequila, St. Germain, Yellow Chartreuse, lemon, grapefruit bitters, and salt. Wheat & Water specializes in wood-fired pizza, shared plates, healthy salads and charcuterie. Featuring a variety of beer from local and national breweries, wines ranging from California and Europe and a cocktail list of originals and our favorite classics. Happy Hour is M-F 8PM to Close. Anyone who’s been to Duke’s knows that this is one of their best drinks. The Mai Tai is made with Pineapple Passion Orange Guava and La Lahaina Rum. 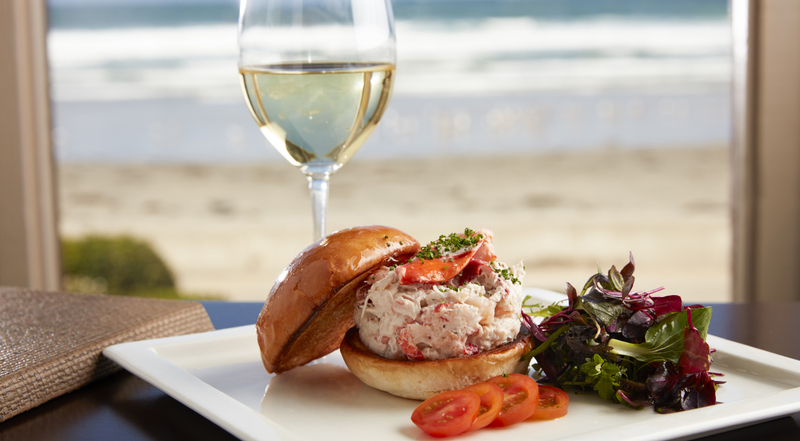 Overlooking the La Jolla Cove, Duke’s serves genuine, friendly hospitality with contemporary interpretations of traditional island plates. As a tribute to Hawaii and Southern California beach lifestyles, Duke’s celebrates family, views and the spirit of aloha. We welcome our guests to become a part of our ’ohana. Duke’s Aloha Hours happen daily from 3-6 PM. All cocktails are $8 during Aloha Hours.